In order to provide a student with job exposure and an opportunity of the transition of theoretical knowledge into real life experience, an internship is a must. A better balance between theory & practice can be gained through this program. Banking system of Bangladesh has gone through three phase of development —Nationalization, Privatization and Financial Sector Reform. National Credit and Commerce Bank is the largest Private Commercial Bank from 1993 with new hope and promise to serve the countrymen. This report mainly divided into three parts. First Part deals with my practical experience as an internee in NCC Bank Ltd., Elephant Road Branch and my own observations on Management and Organizational Pattern of the NCC Bank Ltd. And final part deals with credit management of the NCC Bank Ltd. The report is a combination of three months internship program with NCC Bank. I acknowledged different banking functions and day-to-day banking operations on my way to complete internship. In this paper I have explained my best in respect of my real life experience gathered from different departments. In first Chapter : I have include introduction ,origin, objective ,and scope of the report importance & methodology of the study, the primary & secondary source, time schedule and limitation. In third Chapter : I have included status of the bank vision. Mission. Goal, objective of the bank & more management information system, value of bank, production of service foreign remittance, credit of loan, product loan & rules, lending of product, analysis profitability & an over view of NCC Bank Elephant road branch Dhaka. In fourth chapter : I have include introduction, general banking activities ,a/c opening, closing or have many kind of deposit such as C/D S/D,MTDS,MSD,RDP,ITD more profit rates of NCC Bank on different deposit and cash transfer/clearing/ issue etc. In five Chapter : I have include conclusion on the credit management .I generally hope that my report will aid understanding the trend of operation of the bank. Bachelor of Business Administration (BBA) program requires few months’ attachment with an organization followed by a report assigned by the internship supervisor in the Department and endorsed by the BBA Director. I took the opportunity to do my internship in National Credit and Commerce Bank Ltd (NCCBL). My topic of internship is authorized from the head office of NCC Bank Ltd. My internship supervisor also approved the topic and authorized me to prepare this report as part of the fulfilment of internship requirement. I have worked in various Department of NCC Bank Ltd, Elephant Road Branch. In this report, I will try to make an overall analysis on all activities of NCC Bank Ltd specially focussing on credit management of NCC Bank ltd.
To analysis the pros and cons of the conventional ideas about credit operation of a Bank. To have better orientation on credit management activities specially credit policy and practices, credit appraisal, credit processing steps, credit management, financing in various sector and recovery, loan classification method and practices of National Credit and Commerce Bank Ltd(NCCBL). To get an overall idea about the performance of NCC Bank Ltd.
To fulfil the requirement of the internship program under BBA program. The study would focus on the following areas of NCC Bank Limited. Credit appraisal system of NCC Bank Limited. Procedure for different credit facilities. Portfolio (of Loan or advances) management of NCC Bank Limited. Organization structures and responsibilities of management. Each of the above areas would be critically analysed in order to determine the efficiency of NCC bank’s Credit appraisal and Management system. Time constraint should be given one of the most important considerations while going through this report. Preparation of the report required data not only from National Credit and Commerce Bank Ltd but also from other sources. During the internship period the report also had the requirement of gathering data from Dhaka Stock Exchange library. Many of the commercial banks have not made their annual reports available on the website. So, in order to collect those annual reports and other pertinent data additional time was spent and frequent visits to DSE library was also needed for the completion of the report. Every bank maintains their own secrecy which is not exposed to others. While collecting data on NCC bank Ltd, personnel had the barriers not to disclose enough information for the sake of confidentiality of the organization. Confidentiality of data was another important barrier that was confronted during the conduct of this study. Despite all this limitations utmost effort has been put forward for the inclusion of pertinent data and the completion of the report. In order to deliver a student with job acquaintance and a chance of the transition of theoretical knowledge into real life involvement, an internship is a requisite. An improved balance between theory & practice can be increased through this platform. The report is a blend of internship program with NCC Bank Ltd and banking system. I acknowledged various banking tasks and routine banking actions to fulfill the obligatory internship program. In this paper explanations have been given about the real life experience gathered from different departments. Firstly After taking the supplementary documents from the junior officer an intern needs to separate the unstapled Vouchers and reorder and rearrange them by debit and credit. Additional papers like postal papers must be submitted immediately in order to avoid the mixture with the necessary documents. Then separation of the vouchers, cheque and pay orders must be done. After separating the documents those must be arranged by account number wise in order to quicken the work flow.Then the papers which are known as supplementary sheets must be printed. Next work is to match the vouchers number with the top sheet and then give a tick mark to the founded ones. But if any voucher is missing or not corresponding with the top sheet then the Code number must be searched and seen whether they belong to that specific branch. If the code has matched but voucher is not found then I had to go to the officer bearing that code number in order to make the copy of voucher or for necessary adjustments. Finally maintaining the serial (cash, clearing and transfer) vouchers are stapled with the top sheets.This process will go on until all the debit and credit sides of top sheet are stapled with corresponding vouchers. Finally a balancing is done to match the total number of debit and credits. An intern needs to maintain whether the necessities are fulfill or not by recognizing their documents such as voter ID card, TIN, trade authorization, photos, introduction, recommendations etc. It was a regular duty to receive inward mail which comprises Demand Draft, Pay Order, and Letter of credit etc. from the courier service and give entry to inward registered book. Moreover, as an intern it was also my duty to give all the required seals and signatures when the employees were busy with their individual task. On the other hand, it was also necessary to maintain outward registered mail.One of the regular duties was to perform balance inquiry and balance statement.Sometimes Intern needs to maintain the daily Money Gram balancing with the assigned officer.I was also assigned with work to fill up and check all the Deposit Account forms. Introduction about the account opening software. Working experience in the cheque clearing section. Worked in the card division. It was duty to assist the approved officer to scan the cheque’s images and give MS excel entry. Dealing with foreign exchange division’s documents (PAD, LTR etc.). National Credit and Commerce Bank Limited is always ready to maintain the highest quality services by upgrading Banking technology prudence in manage and applying high standard of business ethics through its established commitment and heritage. Objectives of a private institution like NCCBL are to maximize profit through optimum utilization of resources by providing best customer’s service. Bank provides various sorts of facilities to its customer. A credit facility is one of them. NCCBL mainly grants credit to the following heads. a)General advance:-Loan General, Staff loan Car, House building (Residential,)Festival loan, Small business scheme, House Repairing & Renovation, SOD General, Cash Credit (Pledge),Cash Credit (HYPO) b) Foreign advance:-Packing credit, Security over Draft (SOD), Loan against FDR, Loan against Trust Receipt (L.T.R), Foreign Dollar Bill Purchase (FDBP), Payment against Document (PAD), FDBP (clean). Through such kind of credit facility, customer of the bank fulfills their needs. These loans product has been generating huge profit for the Bank. But the recovery rate is not up to the mark as NCCBL try to recover. If the management of this bank becomes successful to increase the recovery rate of this scheme, it can be the highest profitable sector for it. This research reveals how NCCBL can decrease the defaulting rate. Foreign remittance is an important influential economic factor of Bangladeshi economy. It has a great impact in our national economy more specifically in our GDP (Gross domestic production). The Bangladeshi workers and migrants in different parts of the world are source of a substantial inflow of foreign currencies (Known as remittance) in Bangladesh. This inflow helps Bangladesh to face the recent economic crisis worldwide. Different studies showed that when developed nation’s economy was falling down from mid of 2008 and stock markets crashed worldwide, but Bangladesh is still continuing its stable GDP growth and the economy is in a good situation. It becomes possible because of huge remittance inflow in Bangladesh. National Credit and Commerce Bank Ltd (NCCBL) turned into one of the largest and key players of Bangladesh into remittance sector. In present, NCCBL is dealing with more than 15 foreign banks and exchanges (Known as Money Transfer Organizations) by which a remitter can send money in possible fastest time. National Credit and Commerce Bank Ltd., popularly known as NCC Bank Ltd. Started banking operations on 17 May 1993 with an authorized capital of Tk 750 million divided into 7.5 million ordinary shares of Tk 100 each and paid up capital of Tk 195 million. The paid up capital was enhanced to Tk 390 million in 2000. NCCBL is the restructured form of the first investment company in the country, the National Credit Limited (NCL), which started business with a paid up capital of Tk 50 million and survived 8 years before its normal operations were suspended. Now NCCBL has completed long 17 years of journey which is a total success story all the way. During its long operation, the Bank could make its presence felt in the national level by undertaking and exploring new fields of investment where no Bank or Financial Institution has invested before. 23-member board of directors, including the chairman and a vice-chairman oversees the affairs of the bank. The managing director is its chief executive. Now the bank had 58 branches. The registered head office of the bank is at the capital city of Bangladesh, Dhaka. • To deliver the highest quality services and performances in order that customers choose them first. • To maintain the high standard of corporate and business ethics. .
• To be the most efficient bank in terms of technology application. • To achieve and sustain in the domestic leading market position in both customer and corporate banking sector. • To strive for good profit and sound growth. • To value and respect the customers and maintain harmonious banker-customerrelationship. • To have a strong customer focus and build relationship based on integrity, superior service and manual benefit. • To work for business innovation and improvements. • To work as a team to serve the best interests of the group. • To be responsible, trustworthy and law-abiding in every sphere. • To value and respect the people and make decision based on the merit. From the very beginning of its inception in 1985 NCC Bank has been giving great importance on the availability and use of better-quality technology. It entered the era of online processing since 2003. New kind of software is being introduced in the bank enabling NCC bank to provide services worldwide within shortest possible time. The Bank set up correspondent connections with a number of foreign banks such as HSBC, American Express Bank, Bank of Tokyo, Standard Chartered bank, CITI Bank NA-New York and Arab Bangladesh Bank Ltd. The Bank is keeping foreign exchange books in New York, Tokyo, Calcutta, and London. The bank has established letter of credit on behalf of its appreciated clients by its correspondents as counseling and repaying Banks. The Bank preserves a requirement based correspondent relationship strategy, which is slowly escalating. This is the survival unit of the bank because until and unless the success of this department is attained, the survival is a question to every bank. If this section does not properly work the bank may become bankrupt. It decides what type of lending product will be offered, to whom it will be offered, how much it will be offered and analyze and measure the credit risk on loans and manage all the activities regarding the loans. The aim of the credit management is to have a secured loan portfolio so that the bank can earn profit by keeping the depositors savings secured. The entire job regarding that consist the credit management. These are the Asset based products of a bank and reflected in the asset side of the balance sheet. There are various types of loans and advances offered by bank depending on the purpose of theborrowing customer. Loan:Loan means lending a fixed amount of money to borrower for a certain period time. The borrower must repay the loan within the given time period. In Loan, the disbursement will take place only for one time. The borrower can repay the loan all at a time or by installment. Advance: Advance is a little bit different than Loan. In Advance, the borrower is allowed and credit limit for a given period of time. In that given period, the borrower can withdraw money as many times as he want but he cannot exceed the credit limit. Again he can repay several times whenever he wants. In Advance, disbursement and repayment occurs several times. But at the end of the period, whole credit amount must be repaid to the banks. This type of credit is allowed to business for their working capital requirement. To provide financial assistance for purchasing necessary goods and services. To facilitate loan with quick accessibility. b) Secured over draft against Work order/Real Estate etc. a) In NCCBL, interest on various loans depends on the level of risk and type of security offered. It should be borne in the mind that interest rate is the reflection of risk in the transaction. The higher the risk, the higher the interest rate will be. b) Interest rate on different loans are reviewed in every 6 month or less if required. c) Fixed interest rate is discouraged. d) The rate must be reflected by cost of fund. That is the variation in the COF can cause the change in the loan rate. e) Effective yield can be enhanced to the extent the borrowers are required to maintain the deposit to support the borrowing activities. f) Yield is increased by the commitment fee and service charge where possible. g) All pricing of loan must have the relevance with the market condition. Interest rate = cost of fund+ administrative costs+ risk premium + expected profit. Legal opinion charge about the security offered to mortgage. Insurance of hypothecated goods (If goods are pawned as security) : Insurance charge on the hypothecated goods’ value. Service Charge: 1% o the total loan amount. Security Charge (For Small Business Loan, House Renovation and Repairing Loan, Personal Loan): 1% on total loan value. Risk Charge (For Small Business Loan, House Renovation and Repairing Loan, Personal Loan): 1% on total loan value. 1. Name of the Applicant /Firm/ Company. 6. Nature of Business/ Industry. 8. Date of Establishment/ Commencement/ Incorporation of Business. 13. Details of Security Offered. 15. Full particulars of Liabilities (if any) of the Borrower and their Allied/ sister concerns with NCCBL, other Banks and Financial Institutions etc. 16. Other Relevant Particular/ Information. b) Charge Document:Before disbursing the loan, the following documents must be completed by borrower. On these documents, the stamp needed for legislative reasons, which is paid by the borrower. Three securities of loan: i) most preferred is business’s income cash flow from which the customers will repay loan, ii) second security consists of customer’s balance sheet / his assets that can be liquidated or adjustment of loan and iii) Guarantees from owner’s from a third party. Primary security: Primary security means the security offered by the borrower himself as cover for the loan. It refers to the asset, which has been bought with the help of the bank machinery and goods constitute the primary security. Risk involvement with advance may be kept at minimum, if sound lending principals are followed. B) Purpose:The purpose of lending is a crucial point to know for the bank. It helps the banker to know the course of action of the borrower as regards lending. C) Liquidity:It means the availability of fund on short notice. The bank has to know whether the bank can get back the loan amount in liquid from or not, because majority of bank liabilities are payable on demand or after short notice. So, the loan must have fair chance of repayment as per repayment schedule. D) Security:The security accepted by the bank from borrowers in order to cover loss if borrowers become default. It must be adequate, readily marketable, easy to handle and free from any encumbrances. E) Profitability:The bank definitely invests its money if there is a strong chance of fair return or profit. F) Spread/Diversification:In this connection, the principal is – ‘Do not pull all eggs in the same basket’’ is followed. The advance should be as much broad based as possible and must be in conformity with the deposit structure in order to minimize the risk of lending. G) National Interest: A bank should keep in mind the national development plan to play a significant role in the economic development of a country. First information sheet in the prescribed form provided by the respective branch that contain the basic information of the borrower such as name of the concern with its factory location, office address, and telephone no, name of the sponsors, business experience of the sponsors, details of fixed assets personally owned by the sponsors, details of liabilities, purpose of loan, estimated cost of the project & means of finance. It includes name; address; telephone no of factory, date & place of establishment, name & net worth of directors, capital structure, details of properties, name& address of the subsidiaries, nature of business, latest audited/ in-audited financial statement, management structure, details of securities offered, type; extent; & period of credit facilities required. Account balance & past transaction. Credit report from other bank. Past & projected financial statement analysis. Management Capacity: The capacity of the owner, director, managers depends on the several things such as physical ability, educational qualification, training, experience,willing to work perseverance, self-confidence, self-reliability, presence of mind etc. Collateral: Which assets are acceptable as collateral can be known by analyzing the following things? Whether the ownership of property and documents of ownership are correct? Whether the connected assets can be mortgaged? Whether the borrower can influence the legal authority? The size, type, and location of property should be such that it can be take over? Whether any other person or organization has taken authority over the assets? Do the assets have demand in the market? How much time will be required to sale the assets by taking legal steps? What would be the approximate sale price? How much would be the approximate expenditure to sale the assets? What is the present market value of the assets? By analyzing the above things, bank will decide whether the assets can be taken as collateral or not. Step-4: Collection of CIB report from the Bangladesh Bank. a) To justify the soundness of an investment. b) To ensure about repayment of loan. c) To achieve organizational goals. a) After machinery contract is finalized the bank will open irrevocable letter of credit on behalf of the borrower in the join names of the bank and the borrower. b) Disbursement of foreign currency loan is made automatically as soon as possible. Irrevocable letter of credit for import of machinery is established and the foreign supplies make shipment of machinery. c) The local currency loan is to be made available to the project after satisfactory and full utilization of equity by borrowers by creating required physical facilities for the project. d) The local currency loan is to be distributed within 3or 5 installments as per nature of the project. e) The borrower must use the loan for the purpose for which advance is extended. • Regular checking of the balance of the clients account. Banks recover the continuous and demand loan by daily recover basis and recover the term loan by installment basis (monthly). • Regular communication with the defaulting customer and guarantors physically/ over telephone. • Issuance of letter to customers immediately after dishonor of cheque. • Issuance of letter to defaulting customers and respective guarantors. • Issuance of legal notice to the customers and guarantors prior classification of loans. • Issuance of application/ greeting letter to the regular customers. • Periodical visit to the customer to maintain relationship and supervision of supplied goods/ items. • Legal actions to be taken after all possible efforts to recover the Bank’s dues have in vain. a) Preparation of list of Borrowers Categorically. c) Follow up to –Personal Approach. Negotiation with the borrowers for arrangement of selling securities for Recovery. VI. Rescheduling with Block A/C. VII. Rescheduling with Block A/C and Interest waiving. VIII. Rescheduling Interest waiving and period extending. IX. Technical, Management, marketing Restructuring. Issuance of Circulars, Notices etc. Preparation of list for Defaulting Borrowers for publication through papers and T.V. etc. Imposing Restrictions for participation in some activities like election, other social activities etc. for Defaulting Borrowers and even for guarantors if any. Support for legal actions if necessary. Identification of Defaulting Borrowers present capacity. Identification of Bank with whom he is presently banking. Identification of other means-if any. Some practical techniques may be applied on the basis of present situation. Serving Notices to the Guarantors. Assessment and Identifications of securities in respect of nature, quality and valuation etc. Attachment of the other properties etc. (if necessary) along with the properties of Guarantor. Exemption of interest by the Bank/ Government. Exemption of loan including Interest by the Govt. Political Pressure and misunderstanding etc. Interest waiving and rescheduling culture. Foreign remittance is an imperative dominant economic element of Bangladeshi economy. It has a noticeable influence in our nationwide economy. It impacts more precisely in our GDP (Gross domestic production). The Bangladeshi labors and migrants in various parts of the world are source of a considerable influx of foreign exchanges (Known as remittance) in Bangladesh. This inflow aids Bangladesh to face the current economic crisis globally. Diverse studies revealed that when developed country’s economy was dwindling from mid of 2008 and stock markets crashed globally, but Bangladesh is still maintaining its steady GDP progress and the economy is in a decent state. It turns out to be imaginable because of enormous transfer of funds in Bangladesh. National Credit and Commerce Bank Ltd (NCCBL) revolved into one of the leading and crucial performers of Bangladesh into remittance sector. Currently, NCCBL is in trade with more than 15 overseas banks and exchanges by which a remitter can propel money in shortest possible time. Remittance is substantial portion of the overall banking. The bank accepts and transfers numerous kinds of bills over the remittance inside the country. Understandably the bank charges commission considering the amount of the bill. This remittance does not go straightly to the target banks. If a bank obtains the remittance and transfer the currency to the target banks at that point for target banks it is acknowledged as Inland Remittance such as Pay orders, Demand drafts, Telegraphic transfers etc. Foreign remittance is the currency straight received by the remitters target banks. Various exchange businesses or currency transfer organizations labor as an intermediate for foreign remittance. NCC Bank is the associate of Money Gram and SWIFT linkages. Consuming the facilities of this worldwide linkage, non-resident can send money from overseas to home within a few minutes without incurring any risk. National Credit and Commerce Bank Ltd is now managing more than 20 remittance products from more than 15 foreign exchanges or banks. Various technology and devices are used for processing the data obtained from this exchanges concerning remittance. MoneyGram is a collaborating net based process of receiving currency in minutes globally. The person who obtains needs to enter his reference digit in software delivered by Money gram termed Delta works to acquire money. If the given information conforms to the requirement then the officials make the payments. In the process sender finishes a “send” form and acquires a receipt. Its Agent provides a Ref. No. This needs to be delivered to the receiver. NCC Bank makes an investigation on the MoneyGram computer link to attain permission to pay receiver and receiver gets the fund. It offers one of the fastest means to transfer currency. Clients by means of MoneyGram can direct or accept currency commonly within 10 minutes from anyplace. To get the money the receiver need not to have a bank account with NCC Bank Ltd. NCCBL does not impose additional charge. It provides better conversation rate to the receiver. 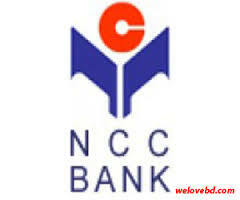 The receiver can go to any branches of NCC Bank at his suitability with the reference No. and a photocopy of Voter ID/Citizenship Certificate. The straightforward characteristics of Xpress Money are analogous as Money gram. It’s also an prompt cash arrangement where receivers acquire definite PIN number and branch officials approve the disbursement by passing in a website of Xpress Money. Placid Spot cash is a net centered remittance product like other instantaneous cash products (MG, AFX). Like other analogous products in Placid SP, Recipient acquires a PIN No for performing his/her disbursement. The Devoted server to Placid aids to implement the outlays. Approved officer pass in placid website and perform the disbursement by means of user ID, Password and PIN No for the deal. Habib Express is a analogous product like MoneyGram. Approved operator login to the software delivered by Habib Qatar Exchange Ltd and place the undisclosed encryption delivered to the beneficiary. Positioning correct code unlocks a new page containing information about the payment. If all the information meets the required criteria then the officials make the arrangements to disburse. AFX (instant cash) is a net grounded money transfer and disbursement system. The product has resemblance with the MoneyGram. For getting the currency certified login is required in the website of AFX. Then insertion of the accurate pin code delivered by AFX to the remitter will expose a new page holding the information concerning the payment. If the information match at that point the approved operator approve the payment from the website and accountable branch of the bank reimburse the money to the receiver. Tele money, an innovative remittance product (TT) tossed by ANB in the middle of 2008. The key characteristics of the product are its safety and management process. The product is preserved and managed through a sophisticated method. Distinct software is delivered by ANB and is used for treating the information uploaded in ANB chief server by ANB executives. Decrypted information is restructured using Microsoft Office package. Then the information is moved to diverse branches using fax or email. Branches get the information and credit recipient’s account contingent on the information acknowledged from head office. Kaymaks has only one product which is controlled by NCCBL, FRD. The product is acknowledged as Kaymaks (TT). The features of the product are Kaymaks consolidate remitters and beneficiary’s information and direct it to NCCBL, FRD. FRD accept the file and take by the internet. The data is regrouped and directed to different branches contingent on receiver’s bank account. Branch credit the receiver’s bank account if information collected from FRD is correct. The product termed DJ (TT) is an analogous product like other identical types products (TT). DJ executives send the information file encompassing information of remitter and recipients to NCCBL ID, FRD by attaching in mail. The liable NCCBL official takes the file and reorders it using office program. Lastly the entire information sheet is separated addressing to various branches. The branches approve the uniqueness of the recipient and after checking they credit the receivers bank account as per the information acknowledged from Head office. WSEC refers information to the bank attributing with email. Bank Official takes the data file and rearranges it with Microsoft office. Lastly sort or arrange data to different branches (Depends on Receivers bank account or zone). FE has simply one product which is controlled by NCCBL, FRD. The product is recognized as FE (TT). The features of the product are FE combine remitters and recipient’s information and send it to NCCBL, FRD. FRD obtain the file and take via internet. The data is regrouped and send to different branches relying on receiver’s bank account. Branch credit the receiver’s bank account if information collected from FRD is faultless. Three Star (Instant Cash): Three Star (instant cash) is a net grounded money transfer and compensation method. The product has resemblance with the MoneyGram. For getting the money accredited login is required in the website of TSMT. The purpose of the credit management is to make best use of the performing asset and the minimization of the non-performing asset and making sure about the peak point of loan and advance and their effective supervision. Credit management is a forceful field where a definite standard of long-term planning is required to distribute the fund in various field and to reduce the risk and maximizing the return on the capitalized fund. Uninterrupted management, checking and supplement are vastly essential for warranting the timely refund and minimizing the non-payment. In reality the credit portfolio does not only organize the bank’s asset structure but also a vibrant aspect of the bank’s achievement. The complete accomplishment in credit management hinges on on the banks credit policy, range of credit, observing, management and continuation of the loan and advance. Therefore, while scrutinizing the credit administration of NCCBL, it is essential to scrutinize its credit policy, credit process and worth of credit portfolio. Credit principles consist of the general procedures of giving credit by branch manager or credit officer. In NCC Bank Limited they take account of the following guideline while providing loan and advance to the customer. Credit advancement shall emphasis on the improvement and augmentation of client relationship. All credit extension must conform to the requests of Bank’s Memorandum and Article of Association, Company’s Act, Central Bank’s guidelines, other guidelines and regulation as modified from time to time. Loans and advances shall generally be financed from client’s deposit and not out of transitory funds or borrowing from other banks. The bank shall offer appropriate credit services for the markets in which it functions. It should be delivered to those clients who can make best use of them. The conduct and management of the loan portfolio should contribute with in definite risk restraint for accomplishment of lucrative progress and greater return on bank capital. Interest rate of different lending classes will rest on on the level of risk and kinds of safety presented. The characteristics which deals with how much total deposits would be used as lending are the percentage of long term lending, client experience, state exposure, percentage of unsafe facility etc. the most prominent ones are: The total of all cash amenity will not be more than the 80% of the client’s deposit. Lengthy period loan must not surpass 20% of the overall loan portfolio. Facilities are not permissible for a period of more than 5 (Five) years. Credit facilities to any one client shall not typically surpass 15% of the capital reserve or Taka. Hundred crores. Grouping on the basis of time: On the basis of components of time, bank credit may be categorized into three heads. These are the loans with no fixed repayment schedule but have a date at which it is renewable on acceptable performance of the customers. Continuous loan mostly contains-Cash credit (hypothecation, pledge) and OD. In order to open letter of credit (L/C) the customers have to deliver the complete L/C amount in foreign exchange to the bank. To buy this exchange, bank prolongs demand loan to the customers at specified margin. No exact reimbursement date is fixed. Nevertheless, as soon as the L/C papers reach, the bank demands the customers to fine-tune their loan and to retire the L/C papers. Demand loans largely contain- Loan against imported merchandise (LIM), Payment against Documents and Later of Trust Receipt. Small term loan: Up to 12 months. Long term loan: greater than thirty six months. In case of loan the banker advances a lump sum for a certain period at an agreed rate of interest. The full amount is paid on an instance either in cash or by crediting in his current account, which he can pull at any time. The interest is charged for the entire amount approved whether he pull out the money from his account or not. The loan may be refunded in episodes or at expiration of a definite period. The objective of cash credit is to encounter working capital requirement of traders, agriculturalists and businesspersons. Cash credit in factual sense is in contrast to pledge of goods. Cash credit is also allowable counter to hypothecation of goods. In case of hypothecation the title and custody of the goods continue with the borrower. It is because of the hypothecation contract bank can take control of the goods hypothecated if the borrower fails to pay. Recommence Arrangement: it is renewed in intermittent basis (yearly). Overdrafts are those drawings which are permissible by the banker in additional to the balance in the current account up to a definite amount for certain period as agreed upon. These advances are protected. Any deposit in the OD account is preserved as refund of loan. Interest is charged on balance remaining on quarterly basis. Overdraft facilities are usually approved to businessmen for growth of their business against the securities of stock-in-trade, stocks, debenture, fixed deposit, promissory notes, life insurance policies etc. Banks provide advances to their clients by discounting bill of exchange or pro-note. Personal loan is given under individual assurance of the borrower and additional third person well-known to the borrower. As this loan is collateral free the interest rate charged is little bit high (15% to 18%). There is also a handling fee of 1.5% charged at the time of payout of the loan. If we study loan, overdraft, bill purchased and discounted and cash credit from the above discussion we can see certain resemblances. Like in all case we can see the amount of credit is growing that means wealth of the bank is growing as well. From the graph if we look at the amount from 2008-2010 in four cases it can be seen that they focus more on loan than any other credit scheme. After loan NCC bank focuses more on overdraft than cash credit and after that they keep a good situation on bill purchased & discounted. Here, it can be seen that bank invested more on loan but in case of cash credit (2009-2010) they focused more on cash credit than the OD. After overdraft they focused on bill purchased & discounted and they gave emphasis to this side least than the other three sides. Credit choices are core of all credit mechanisms. Usually branch manager and the credit in-charge of a branch are held accountable for the assessment of a loan application. The client appeal for credit limit and the credit officer makes a credit memo and refer it to the head office, credit division. After receiving all the appropriate information from the branch the head office credit division delivers the credit memo to the credit committee. Credit committee of NCCBL is consisted of Managing Director and other top-level executives that is, Deputy Managing Directors and EVPs. If credit committee is persuaded about the worth of the application then it is sent to the broad of directors. The board is last authority to accept or drop an application. The entire procedure takes a month or more. In NCCBL broad meeting follows one time in all week. The officer of Loan Supervision must gather the acceptance of the customer’s terms and conditions on the duplicate copy of the authorized advice. They will systematically scrutinize and confirm that the subject credit facility does not oppose to any law, guidelines and regulation of the country, Bangladesh Bank and Deed of the Mortgage and power of the Attorney to be drafted and implemented under the Direction of the Bank’s Permitted Advisor. Lawyers credential to the effect that all the legitimate procedures (Equitable/ Registered Mortgaged) has been correctly observed on the land and building in favor of the bank & bank has attained the operative title of the property. Registered authority of attorney has been attained from the borrower assigning the work order preferring the NCCBL and the power of attorney has been registered with the work order given agency and they have approved that they will issue all the cheques supporting NCCBL. The permissible papers of the vehicle have been attained. Gathering of the satisfaction certificate in respect of all the papers both legal and banking from the legal representative is completed. Entry has been completed in the Safe-in and Safe-out record and the papers are well-kept. After being pleased with all the above terms and conditions the credit in-charge will pay the loan amount to the customer. i. Demand promissory note: Here the borrower promises to pay the loan as and when demand by bank to repay the loan. iv. Letter of hypothecation of goods and capital machinery. Stock report: This report is used for OD and CC. In this report, information about the quality and quantity of goods hypothecated is furnished. v. Memorandum of deposit of title deed of property duly signed by the owners of the property with resolution of Board of Directors of the company owning the landed. vi. Personal guarantee of the owners of the property. vii. Guarantee of all the directors of the company. ix. Form no. XVII/XIX for filling charges with the register of joint stock companies under relevant section. xi. Letter of lien for advance against FDR. PratirakshaSanchayaPatra, Bangladesh SanchayaPatra, ICB unit certificate, wage earner development bond. Shares quoted in the Dhaka Stock Exchange and Chittagong Stock Exchange. Fixed assets of manufacturing unit. A wide range of securities is offered to banks as coverage for loan. In order to make the securities available to banker, in case of default of customer, a charge should be created on the security. Creating charge means making it available as a cover for advance. The following modes of charging securities are applied in the NCC Bank Limited. A lien is right of banker to hold the debtor’s property until the debt is discharged. Bank generally retains the assets in his own custody but sometimes these goods are in the hands of third party with lien marked. When it is in the hand of third party, the third party cannot discharge it without the permission of bank. Lien gives banker the right to retain the property not the right to sell. Permission from the appropriate court is necessary. Lien can be made on moveable goods only such as raw materials, finished goods, shares debentures etc. Pledge is also like lien but here bank enjoys more right. Bank can sell the property without the intervention of any court, in case of default on loan, But for such selling proper notice must be given to the debtor. To create pledge, physical transfer of goods to the bank is must. In this charge creation method physically the goods remained in the hand of debtor. But documents of title to goods are handed over to the banker. This method is alsocalled equitable charge. Since the goods are in the hand of the borrower, bank inspects the goods regularly to judge it s quality and quantity for the maximum safety of loan. Mortgage is transfer of interest in specific immovable property. Mortgage is created on the immovable property like land, building, plant etc. Most common type of mortgage is legal mortgage in which ownership is transferred to the bank by registration of the mortgage deed. Another method called equitable mortgage is also used in bank for creation of charge. Here mere deposit of title to goods is sufficient for creation of charge. Registration is not required. In both the cases, the mortgage property is retained in the hank of borrower. Generally goods imported or bought by bank’s financial assistance are held by bank as security. Bank may release this lien / pledge these goods against trust receipt. This means that the borrower holds goods in trust of the bank; trust receipt arrangement is needed when the borrower is going to sell these goods or process it further but borrower has no sufficient fund to pay off the bank loan. Here proceeds from any part of these goods are deposited to this bank. Advances can be made to a client to perform work order. The following points are to be taken into consideration.The client’s management capability, equity strength, nature of scheduled work and feasibility study should be judiciously made to arrive at logical decision. If there is a provision for running bills for the work, appropriate amount to be deducted from each bill to ensure complete adjustment of the liability within the payment period of the final bill besides assigning bills receivable, additional collateral security may be insisted upon. Disbursement should be made only after completion of documentation formalities and fulfillment of arrangements by the client to undertake the contract. The progress of work under contract is reviewed periodically. Credit facilities to extend against shares will be called “Investment Scheme against Shares”. Advance may be allowed against shares of companies listed with the Stock Exchange Ltd. Subject to margin or may other restrictions imposed by Bangladesh Bank/Head Office of the bank from time to time. Value of shares & margin should be worked out as per guidelines issued from time to time by Bangladesh Bank / Head Office of the bank. Advance against Fixed Deposit Receipt will be subject to credit Restrictions imposed from time to time by Head Office / Bangladesh Bank. Scrutinize the Fixed Deposit Receipts with regard to the following points. a) The Fixed Deposit Receipt is not in the name of minor. b) It is discharged by the depositor on revenue stamp of adequate value & his signature is verified. c) Creation of liability on Fixed Deposit issued in joint names by any one of the depositors is regular. d) If the Deposit Receipt is offered as a security for allowing advances, a letter of lien shall be obtained from the depositors, on the appropriate form. e) If the Deposit Receipt has been issued by the branch-allowing advance, lien against that specific Deposit Receipt to be marked in the fixed Deposit Register of the branch. f) The discharged receipt, the letter of lien duly verified by the issuing branch & the letter confirming registration of the lien on the deposit receipts shall be kept along with other documents under safe custody of the bank. The main criterion for a substandard advance is that despite these technicalities or irregularities no loss is expected to be arise for the bank. These accounts will require close supervision by management to ensure that the situation does not deteriorate further. This classification contains where doubt exists on the full recovery of the loan and advance along with a loss is anticipated but can not be quantifiable at this stage. Moreover if the state of the loan accounts falls under the following criterion can be declared as doubtful loan and advance. Analysis of Profitability: The Case of NCC Bank Ltd.
From the graph we can see that the NCCBL’s profit after tax is following a rising pattern over the last five years (2007-11) despite the fact that in 2011 it went a little bit down in comparison to 2010. The graph shows that ROE is decreasing for the last 2 years (2010 and 2011) after showing an increasing pattern in from 2007-2009. The graph shows that net interest margin is in upward line meaning that net interest income for NCCBL is higher than non interest income even though it has a decreasing trend, whereas the trend for non interest income is showing a rising pattern over last five years (2007-2011). NCC Bank emphasize about marketing. Like youngster a/c is a new product of NCC Bank, for school and college going children. If they go to schools and colleges, the children could know about this product. NCC Bank Debit Card didn’t have the facility to shopping somewhere. Other bank Debit Card has this facility. NCCBL Doesn’t charges money to the clients to print out their balance in deposit account and loans. So, a client can come every day to ask for the print out for his/her balance, this will be a loss for the banks. However other banks charges for this kind of activities. NCCBL could also charge money and make profit by this. Lack of updated products is also a demerit of the general banking. The bank provides only some limited traditional services. They should update their website. There is a noticeable absence of the bank from mainstream media, with hardly any well- planned promotional activities. There should be more ATM Booths. With other Debit Cards people can do their shopping, but NCC Bank doesn’t have this facility in their debit card. NCCBL must pursue a strong and effective recruitment system so that right people are recruited at the right job. It is worth spending more on attractive qualified human resources rather than recruiting staffs by reference. Online banking should be updated to attract more clients. Should give more concentration on decoration part of the branch, and take initiatives to maintain the line in cash counter. They can provide token to each client to maintain the line. To compete with other private banks it must have to introduce new products regularly and exercise those products to capture a large number of clients in the market. Communication System: Ensure proper communication system and maintenance of file & machineries like phone, computer, fax, and photocopier. Loan sanctioning process should be more quickly. Office should be fully decorated to attract people to come into it. ATM network and any branch clearing facility should be introduced. Human Development: Development of human resources should be ensured to increase efficiency in work. More employment training and development program should be taken by controlling authority to ensure employee competence in order to cope with the changing financial markets. National credit and commerce bank Limited is a second generation bank. It is committed toprovide high quality financial services/products to contribute to the growth of GDP of the country through stimulating trade and commerce, accelerating the pace of industrialization, boosting up export, creating employment opportunity for the educated youth, poverty alleviation, raising standard of living of limited income group and overall sustainable socio-economic development of the country. NCC Bank makes a strong position through it’s varies activities. Its number of clients, amount of deposit and investment money increases day by day. This bank already has shown impressive performance in investment. Consumer are more or less satisfied with the present services of the bank now should think to start new services and take different types of marketing strategy to get more customers in this competition market of banking. At last it can be said that, NCC Bank Ltd. is growing fast and its contribution in our economy is also considerable. I hope that NCC Bank will wide its services by expanding its branch all over the country. Success in banking business largely depends on effective and efficient loan services. The more income from the credit operation the more will be profit of the bank. Foreign trade operation and general banking both section of the bank played a significant role in the overall business where the potential customers are always there. It can be easily said that NCC Bank is a progressive Commercial Bank in private sector. It creates new opportunities for its clients as well as gives customized services and maintains harmonious banker-client relationship. It contributes towards formation of national capital, growth of savings & investment in trade, commerce & industrial sectors. I think the bank will develop quickly and will come in top position in banking sector. Finally, I can conclude by saying that since its inception NCCBL is trying to make a distinguish position in the place of customer’s mind and they made it through their solid brand image, experienced and proficient employees. Bodie, Z. Kane, A. & Marcus, A. J. 2009, Investments, 8th edition, McGraw Hill, New Jersey, pp. 553-585. Reilly, F. K. & Brown, K. C. 2008, Investment analysis and portfolio management, 8th edition, Thomson South Western, New York, pp. 459-504.